Akko (Acre) is a city in the Western Galilee region of northern Israel at the northern extremity of Haifa Bay. Acre is one of the oldest continuously inhabited sites in the country. Historically, it was a strategic coastal link to the Levant. Acre is the holiest city of the Bahá'í Faith. 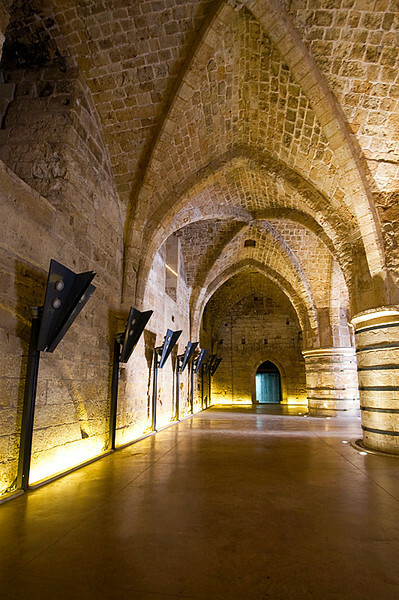 The Citadel of Akko was built on the ruins of the Crusaders fortress on the Northwest side of the city. The citadel was the palace of the Governor during the 18th-20th C and later became a large British prison, made famous in the movie, "Exodus" based on the Leon Uris book of the same name. The Crusaders fortress was built in the 12th-13th C. After the fall of Jerusalem, the Crusaders ruled their smaller Kingdom from the Crusaders' Citadel from 1191 to 1291. In 1291 the city was taken by the Mamlukes, and was completely destroyed, including the Crusader's citadel. During the Ottoman period, a Bedouin from Netufa valley named Daher El-Omar, captured Akko in 1749 and rebuilt much of the fortress. Since then until the formation of Israel the French, Egyptians and British controlled Akko and the fortress. Under Israeli control archaeologists have have been excavating the ruins and restoring the Crusader fortress.